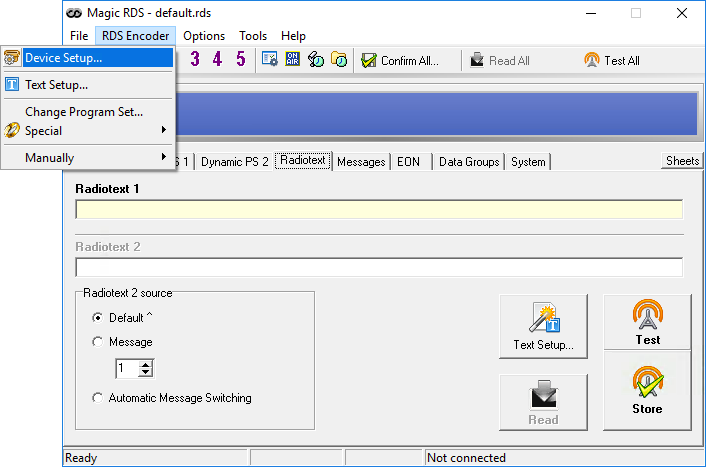 Want to send Now Playing song data to your Pira RDS Encoder, from your Radio Playout/Automation system? MetaRadio makes this possible. 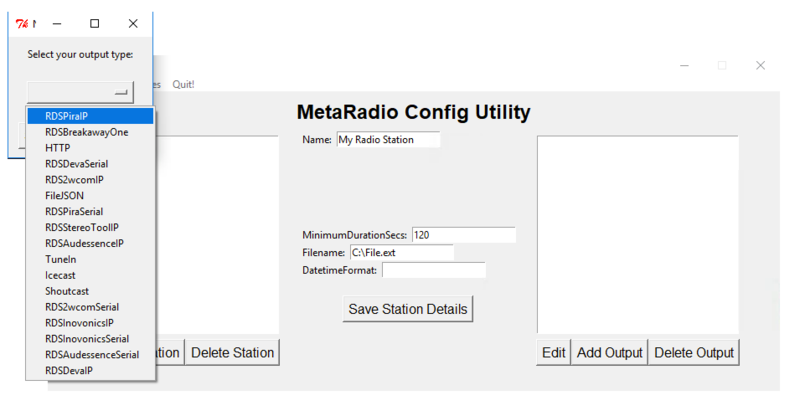 This article explains the setup of MetaRadio and Pira RDS, allowing the use of RadioText and RadioText+ for Now-Playing song data. You’ll need to get a free trial or paid license of MetaRadio before you can begin. For other setup guides, see our MetaRadio Support Site. MetaRadio should support all Pira RDS Encoders, past and present. If you haven’t already configured an IP Address, on the “Device Setup” screen, specify a IP Address, Subnet Mask, Gateway, and DNS Server. This must be on the same subnet as your MetaRadio PC. 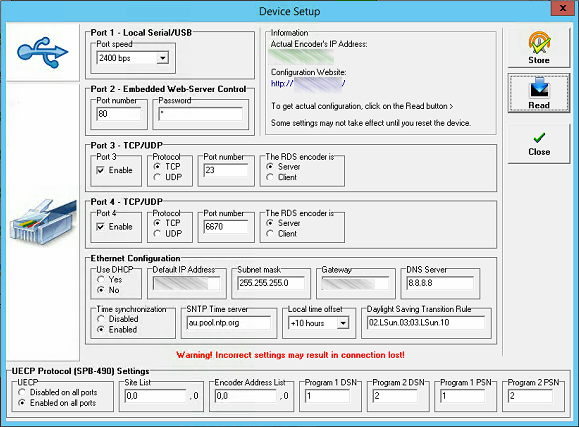 On the “Device Setup” screen, make note of the “Port 1” speed / baud rate. The default is ‘2400’. Enter the COM Port Number (e.g. COM3) and baud rate (e.g. 2400) from your Pira RDS Encoder. The COM port should be the full name (“COM4”), and the baud rate should only contain numbers (no bps suffix).